What you need to know about content, metrics and engagement for short-form video on Vine and Instagram. 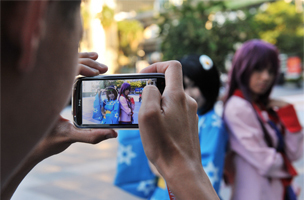 Nissan challenged video creators to post a clip on Vine or Instagram using a print-out version of the Versa Note. Creators used the hashtag #VersaVid to submit entries that might be featured in a Nissan commercial. Ever since Facebook rolled out video sharing on Instagram to compete with Twitter’s Vine service, the industry has been debating which platform is best. The day Instagram video launched, Vine shares on Twitter dropped by 40 percent. However, Vine continues to rise in popularity among brands. Both platforms have made short-form video a viable resource and important engagement medium for marketers — with a maximum of six seconds on Vine and 15 seconds on Instagram. A recent three-month analysis by Socialbakers found that while consumers often share Vine videos, it has proven highly unsuccessful for marketers. 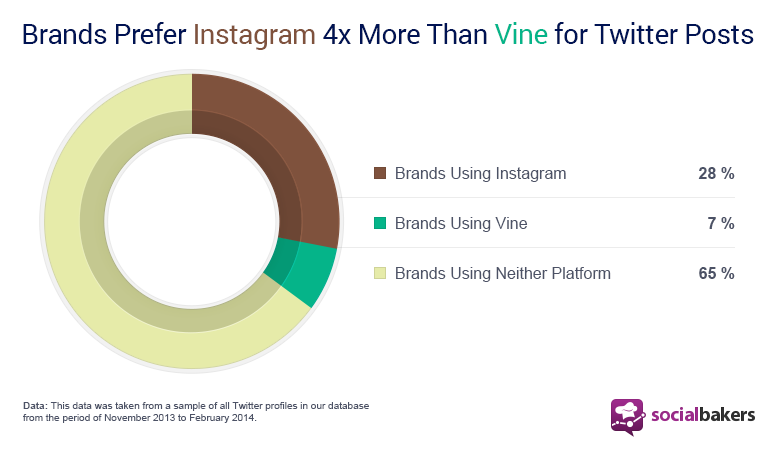 The study found that 28 percent of brands currently use Instagram for content, whereas only 7 percent are using Vine. Vine has 40 million users compared to Instagram’s 150 million. Yet other numbers indicate that Instagram is still primarily a photo-sharing app and that more users will see your video with Vine than with Instagram. Overall though, brands post content from both platforms on Twitter. Tell a story that adheres to the medium and represents your brand — resist the urge to cram too much content into a Vine or Instagram video. Add continuity throughout scenes by keeping either the foreground or background consistent, and remember that a single-shot clip or dramatic scene plays well on social video. Instagram’s 15 seconds stimulates storytelling that has a beginning, middle and end. Vine’s infinite loops are enjoyable to watch and encourage viewing beyond six seconds — use the trendy #loop hashtag. Short videos can be used as building blocks, or story beats, of larger narratives more fitting for blog posts and web copy. Focus on inspirational and fun content that elicits positive emotions. Instagram is better for creating “how-to” content and showcasing products. And it offers video stabilization, still frame and editing capabilities. Businesses are using Vine to promote new products and highlight special offers or giveaways. Major brands — and users — have used its stop-motion clips to create amazing videos. Vine’s Twitter integration makes it easy to analyze any given Vine’s performance, and its “revine” function encourages viewers to share Vines with their followers. Instagram offers seamlesss Facebook integration; its on-platform engagement entails comments, likes, hashtags and @name tagging. On both platforms, brands often reference themselves as a hashtag instead of an “@” link to their profiles, which opens up the discussion to include user-generated content (rather than just pushing out advertising). Trending hashtags gather and promote testimonials and independently-created ads.